One of the reasons we have been so successful in matching candidates with their ideal Credit Control jobs is our practical advice. From the day you join us to the day you sign your new contract, your Portfolio Credit Control Consultant will be there. In this guide, we’ve provided some useful advice for those applying and interviewing for jobs in Credit Control. 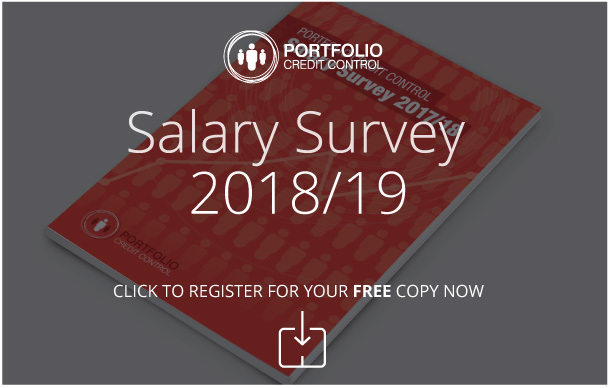 Refresh your memory of the Job Description for the role, and any additional details provided by your Portfolio Credit Control recruitment consultant when they briefed you. Always look at the employer’s website to gain some background information. It is vital to appear interested in the company. If something unavoidable happens and you’re running late, always call the client or your Credit Control recruitment consultant to advise them, and apologise as soon as you arrive. Allow plenty of time to arrive at your interview, and find out how to get there beforehand. Always make sure you’ve turned off your mobile phone before you enter the building. What will my key responsibilities be in this position? Who will I supervise, support or work with? What opportunities will there be to develop my career in credit control? What do you (the interviewer) like best about working for the company? Speak clearly, and not too fast. It’s best to use concise and direct sentences to answer questions, and if the interviewer wants more detail they will prompt you. Never be negative about your previous/current jobs in credit control, including employers or colleagues. It suggests a bad attitude. Avoid being over-confident as this often translates as arrogance; be confident in your abilities and your aptitude for the job, but demonstrate that you’re willing to take direction. Be polite; thank the interviewer for their time when you leave and remember to smile! • A good CV is essential in getting interviews for credit control jobs. It’s your first chance to make an impression, so make sure it’s a good one. • Always put your contact details at the top of the page, including your full name, address and ideally two contact numbers, as well as your email address. • Start with your most recent employment, and work backwards. If you have a long work history, its ok for your CV to be more than 2 pages, but limit it to a maximum of 4. Keep it brief by only including detailed information about your most recent jobs in credit control, but list every Company you have worked for and the dates of employment. • Although it’s easier to write a CV listing your general skills over a couple of pages, and then go on to list your previous employers, this method makes it harder for the recruiter to assess your suitability for the credit control vacancy. They need to establish in what context you gained these relevant skills, and this takes additional effort, which can sometimes mean your CV isn’t shortlisted. So, for each of your previous credit control jobs, provide a couple of lines about the Company and the team structure, and a list of your duties and achievements in that role. • List your education in full, along with the grades and qualifications you gained. For credit control jobs, it’s essential to include your IT skills and the systems you’ve used. • Check and double check every detail. Make sure that all your employment dates and credit control job titles are correct. • Finally, in this day and age there’s just no excuse for an important document like a CV to have spelling mistakes in it. Use spell check software, and ask someone else to check it too. Your Portfolio Credit Control recruitment consultant will be more than happy to read over your CV and provide further tips to make your skills shine.